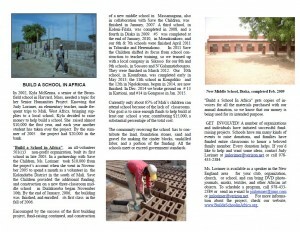 Updated Brochure for Build a School in Africa! 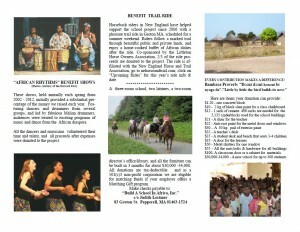 We’ve just published a new, updated brochure about Build a School in Africa. 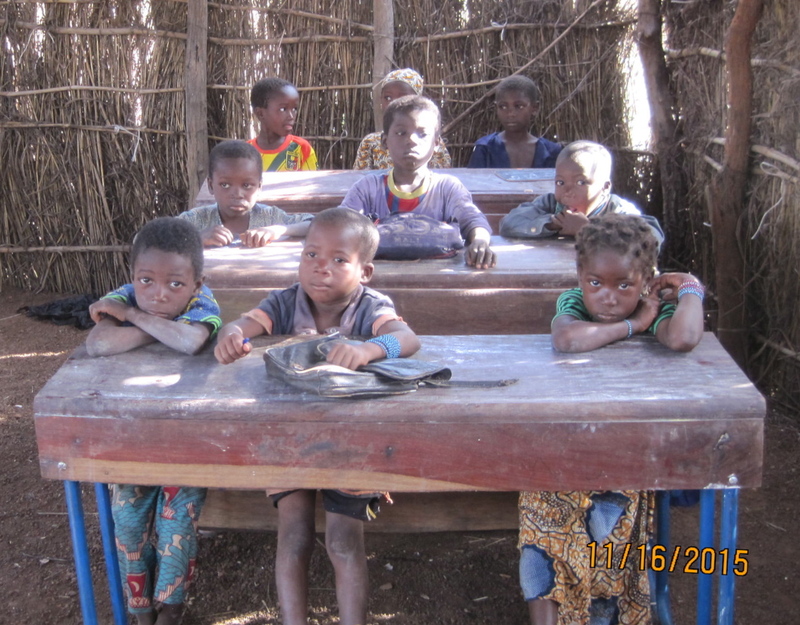 In it, learn about how we’ve built 14 schools since 2002 and how you can help improve education for children in Mali, West Africa. It’s designed to be a trifold, 2-sided brochure. Please download, print, or share. You can use it at fundraisers or to tell your friends about Build a School in Africa! When donating to projects like ours, people often wonder about the long-term results: will this school still exist in a few years? During my recent visit to Mali, I had a chance to visit all the schools we have built since 2012, and am happy to report that all are flourishing. Getting a new school is a powerful instrument of change in these small rural communities. The tiny village of Kounfouna is an outstanding example. There was no school at all until they started a first grade class in 2012. 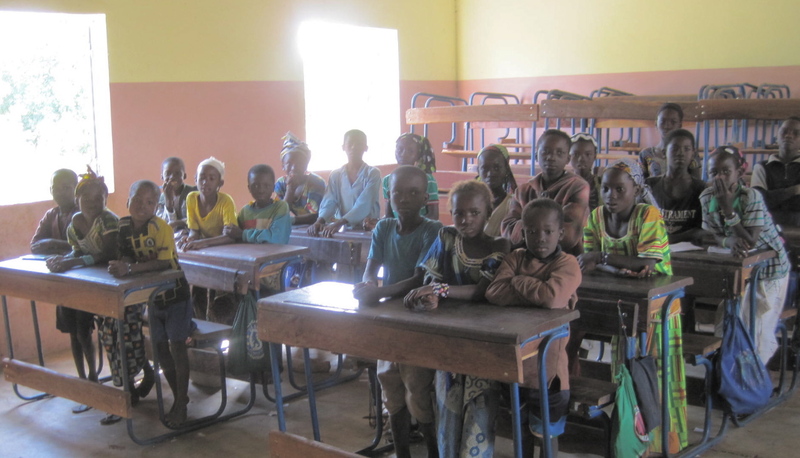 In early 2013 we built two classrooms, plus office and latrines, and when I visited in November of 2013, they had a first and second grade, with one teacher shuttling between the two classes. They still had no furniture; the children just sat on the cement floor. Two years later, they have four teachers, grades 1-4, and have built two temporary classrooms for the younger grades; all the classrooms have desks and benches, with more stacked in the back of the rooms for future expected students. 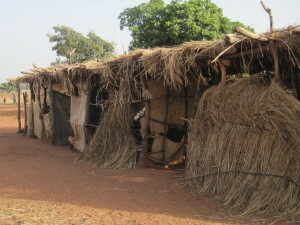 Like all the villages we visited, they would like to have us build more concrete classrooms. NʼGolokouna, and Gongasso, all built by BSA since early 2014. All three schools received a large dictionary, Teacherʼs Manuals for Math and Language, for grades 1-6, notebooks, several gross of pens and pencils, and 11 pounds of chalk – enough to supply them for at least 2 years. We broke ground on Nov. 17 for our 15th school, in Tiogola, a fairly large village which already had 3 mud-brick classrooms. We will be building 2 more, and the school is already more than half finished; they are now putting on the roof. Just before I left Mali, we met with officials in Nimporodioula, where we will be building school #16. A community of 1230, they have 162 students, 81 boys and 81 girls. They have three mud-brick classrooms, but their three temporary classrooms (above) are obviously inadequate, and we hope to build two cement classrooms early in 2016. 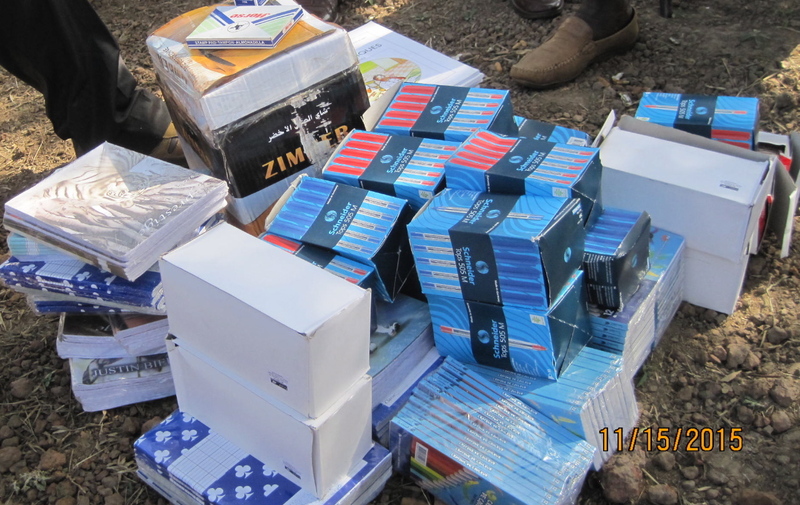 Thanks to all our supporters for such a productive year! Download a PDF version of our December 2015 newsletter (1 page, 270 MB). Thank You Super Junior Fans! 슈퍼주니어 팬들을 환영합니다! 여러분들의 성원에 감사드립니다! 이것은 많은 아프리카 소년소녀들의 삶에 커다란 변화를 주게 될 것입니다! We are delighted that the Super Junior Global Fan Club ELF has chosen to celebrate the band’s tenth anniversary by making a gift in the band’s honor to support education in Africa. Thanks to ELF, we will be able to build a new school in the village of Tiogola, Mali this year. 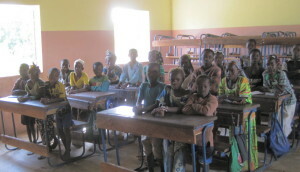 This incredible gift will make a big difference in the lives of so many Malian children. Thank you! For some great coverage and reaction from the band, see this great article on the website Soompi: Super Junior’s Fans Celebrate Their 10th Anniversary Through a Gift Beyond Imagination. Brownie Troop 86145 is helping us to stock the new school in Kartioni, Mali with school supplies by holding a charity fundraiser this month. Please come out to support the brownies and Build a School in Africa! In addition to great bargains for a great cause, we will be raffling off loads of prizes including an iPod shuffle! See the Facebook page for updates and more information on how to donate gently-used toys. A big thank you to LAER Realty Partners and Kidz Enterprise Toys for their support. Please contact Sarah Nolan at 978-692-9229 or sarah_nolan@verizon.net with questions.